Our mission is to provide orthodontic treatment to give each and every patient a beautiful perfect smile. Our friendly, passionate and enthusiastic team of professionals work towards providing the best family orthodontic service, whether you are looking get orthodontic treatments for children or for adults. At Elmhurst we offer an extensive range of invisible treatment options as an alternative to conventional braces. Virtually invisible orthodontic treatment is ideal if you’d like to keep the fact you are wearing a brace your secret. Our expert specialist orthodontists use a series of ultra-clear aligners that can be removed for brushing, eating or cleaning. We use Invisalign clear aligners because their extensive research and development programme results in predictable and efficient outcomes. Invisalign works using aligners that look a little bit like a sports mouth guard but are a lot thinner and less noticeable. These aligners, which are made of clear, strong, medical grade, non-toxic plastic, are specifically moulded to your individual requirements and fit over your upper and lower teeth. This plastic is virtually invisible when worn so no-one will notice you’re having treatment. These aligners are designed to gradually move your teeth into the desired position. Every 2 to 3 weeks you’ll be given a new set of aligners which build on the work of the previous ones. The length of treatment is dependent on the severity of individual cases. Treatment may vary from anywhere between 6 months to 2 years with an average treatment taking around 12 to 14 months. Invisalign aligners are nearly invisible so you can straighten your teeth without anyone knowing. They’re also removable so you can eat and drink whatever you want during treatment. Invisalign aligners are comfortable to wear as there are no metal brackets or wires to cause mouth irritation. No metal or wires also means you spend less time in the orthodontist’s chair getting adjustments. Because Invisalign aligners are removable, you can brush and floss normally, making it easier to maintain good oral hygiene and prevent decalcification. In order to move teeth, force needs to be applied. One of the problems that can arise from this is root resorption. This condition refers to the breakdown of the root of a tooth and could lead to the loss of the tooth. Because the forces exerted by Invisalign aligners are more gradual than those applied by traditional braces, early indications are that Invisalign treatment exhibits a much lower rate of root resorption. When traditional metal braces are removed from teeth, this can sometimes cause some of the tooth’s enamel to be removed as well. Because Invisalign doesn’t involve using adhesive to bond brackets to teeth, enamel scouring is not an issue. Lingual braces from Incognito and WiN are an advanced generation of brace that is hidden discreetly on the back of the teeth, not on the front like conventional ‘train tacks’. This allows people to go about their daily routine without feeling self-conscious because their braces are virtually invisible from the outside. WiN and Incognito braces are suitable for all age groups – children, adolescents and adults who want to correct their tooth position. 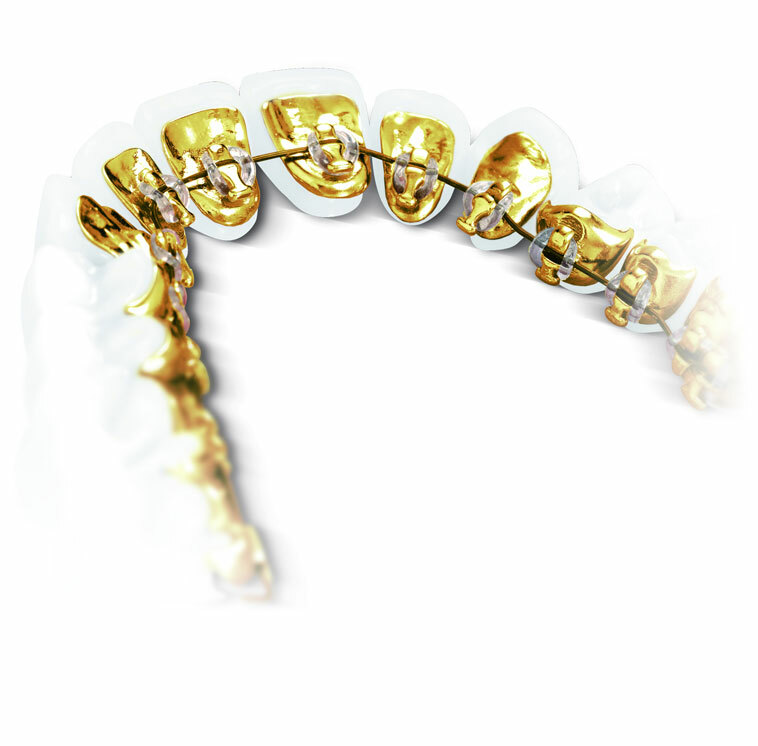 Since Incognito brackets are made from gold alloy, nickel allergies are not a problem. Clarity™ ADVANCED Ceramic Brackets are a revolutionary leap forward in orthodontic ceramic brackets. Through the combination of progressive technology and state-of-the-art design, Clarity ADVANCED Ceramic Brackets can deliver brilliant aesthetics, small design, predictable debonding and enhanced patient comfort. And, they’re available with a unique APC™ Flash-Free Adhesive, to make the bonding experience faster and more efficient than ever before. These advanced features enable us to offer the ultimate combination of aesthetics and performance to you. How do 3M Clarity™ Ceramic Brackets work? an innovative, ceramic material which gives an attractive appearance. They are designed to blend with one’s natural tooth color, and they will resist staining and discoloration over the course of the patient’s treatment. The ceramic material is created through an injection-molding process which offers maximum strength in a small size and lowest profiles in the industry. 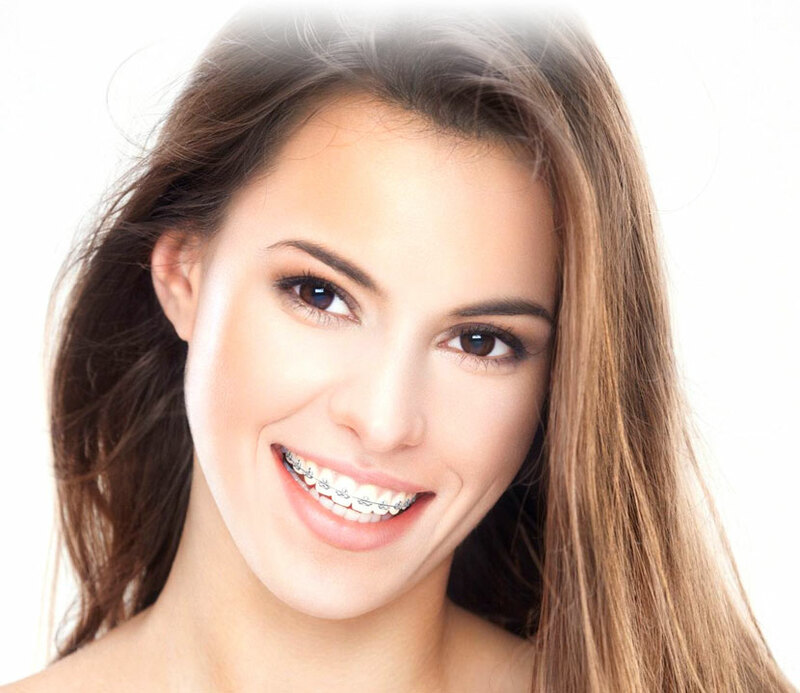 The remarkably small bracket also minimizes soft tissue contact and showcases an attractive look that can turn the most self-conscious, tight-lipped patient into someone beaming with pride. Additionally, Clarity ADVANCED Ceramic Brackets offer ample under tie-wing space, allowing for flexible treatment and ligation options. When time is of the essence, why wait to enjoy a more perfect, straighter smile? Modern, fast acting braces and clear aligners, including the popular Damon brace system, can provide excellent results within a matter of months. Why not visit us to find out more? How does the Damon Clear System work? Traditional braces use elastics or active clips that “bind” archwires in place. This creates friction and pressure that act like parking brakes and can slow down treatment. We welcome referrals for braces on the National Health Service. We are dedicated to providing the highest quality of treatment. Many patients want to improve the look of their smile. An attractive smile can give your confidence a real boost. Elmhurst offer a wide range of orthodontic treatments available to help you achieve the smile of your dreams. Because many patients have questions about the best way to give their smile a boost, our Smile Score assessment service is here to help you find the best cosmetic treatment to suit your wants, needs and budget. Simply answer a few short questions, fill in your contact details and one of our orthodontic experts will assess your answers and get in touch with you to discuss the most suitable options available to you. Which of the below looks most similar to the current issue you or your child have? How soon would you like treatment to begin? Please fill in your details below, click Submit and one of our experts will be in touch. Elmhurst Orthodontic Clinic is committed to protecting your privacy. We promise to keep all the information that you share with us strictly confidential.